What does junk status actually mean – and should you be worried? Junk status. 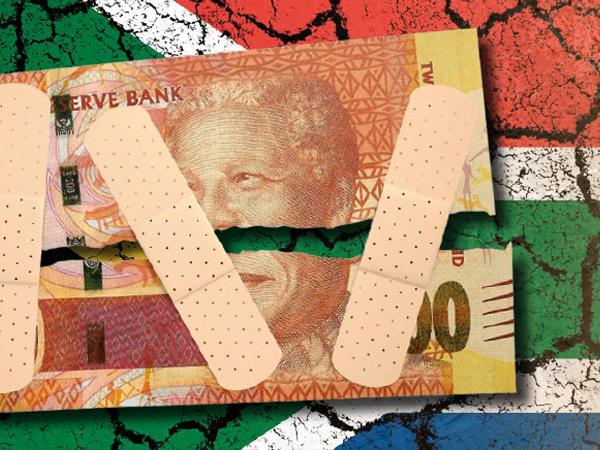 The phrase is bandied about a lot these days and you don’t have to be a financial whizz to figure out it spells bad news for cash-strapped South Africans. After all the crises of the past two years – Eskom, Nenegate, Nkandlagate and now #CabinetReshuffle – it seems the chickens have come home to roost. And last night, the first of the ratings agencies S&P downgraded South Africa. In a nutshell this means that foreign investors will think twice before sending money our way, the rand may depreciate further and it will suddenly become a lot more expensive for SA to take out international loans. So brace yourself: as bad as things are now, chances are they’re going to get a whole lot tougher. Experts are warning it’s likely that more of the agencies will downgrade SA this year. But although it’s an unpleasant prospect there’s no need to panic. SA has been in this boat before and managed to steer its way back into calmer waters. Here’s what you need to know. Just as you, as an individual, have a credit rating so too does SA and all other countries. This is assigned by international credit-rating agencies which monitor political and economic stability to determine the likelihood of a country failing to pay back its loans. Many retirement funds and asset managers have rules that forbid them from investing in junk-status countries. It’s perceived as being too much of a risk. Desperate to avoid this scenario, finance minister Pravin Gordhan recently went on a UK and US roadshow to convince investors the country still has growth potential. “Our immediate task – all of us – is to avoid a downgrade and find urgent ways of growing our economy and creating jobs, in particular for our youth,” he said. Who makes the decision? Moody’s, Standard & Poor’s (S&P) and Fitch are the “big three” among international credit-rating agencies. What the agencies consider: They’ll look at how the government is implementing fiscal policy, the economy’s growth prospects and to what extent we’re recovering from the drought. Extensive wage strikes or social unrest before the municipal elections could also count against us. How did we land in this mess? The constant flood of bad news coming out of SA has made it a less-than-inviting prospect for international investors. Economist Ian Cruickshanks explains SA has been hit by a “near-perfect storm” of lower commodity prices and demand from China as well as a severe drought and failed harvests that have pushed up local food-price inflation and placed further pressure on our current account deficit and the consumer inflation rate in general. On top of this we’re dealing with the fallout from widespread job losses. Cruickshanks, chief economist at the South African Institute of Race Relations, believes inflation will increase to above seven percent (the Reserve Bank’s target is three to six percent) and that foreign capital outflow will make it increasingly difficult for SA to finance its national budget and current account. Everything that affects our economic stability is watched closely by the ratings agencies, he warns. It underscores the importance of reining in government spending, for example, by keeping wage increases below the inflation target. “But more than fiscal prudence, ratings agencies need to be convinced there is a compelling case for growth. In failing to make that case, a downgrade is now likely for South Africa,” he says. Capital outflows will increase, the rand will weaken further, inflation and long-term interest rates will rise and poverty will remain a big problem. “Access to foreign capital could become considerably more costly and difficult to source,” Cruickshanks says. But it’s not as if foreign countries will no longer lend money to SA, Joubert emphasises. It’s just that lenders could easily charge more. He’s concerned about how a junk rating would increase the state’s interest burden. If more has to be spent to service debt, it will mean less money for infrastructure, education and health. For consumers: Interest rates could increase more sharply, Joubert says. On the one hand, high interest rates as an indirect consequence of a junk rating can benefit people who already live on an interest income. “On the other, it can cause foreign investors to withdraw from our stock market and that will cause share prices to drop. Annuities and your pension-fund growth can suffer as a result,” Joubert says. The credit-rating agencies have long been deeply concerned by SA’s deteriorating growth performance, not just its “fiscal and financial lapses”, says Professor Raymond Parsons of the Graduate School of Business at North-West University. To change perceptions of the current SA for the better, the plans in the budget to promote growth will really have to be seen as a collective responsibility, a priority for the cabinet as a whole and not just the national treasury. Cruickshanks doesn’t beat about the bush: it will take significant policy reforms when it comes to labour, empowerment, property rights and education – much bigger than those indicated in the budget speech – to place the SA economy in a position where it can reach even modest growth figures again. And we’ll have to look incisively at the privatisation of loss-making state businesses, Joubert stresses. The symbol for Fitch and S&P’s lowest investment-grade rating just above junk status is BBB. Moody’s still has us on Baa2, one notch above its lowest investment grade rating (Baa3). So analysts point out that a downgrade might simply put SA on par with the assessments of the other agencies, and will mean we’re still investment grade. Provided, of course, that if Moody’s does decide to downgrade our rating, it does so by only one notch. The real junk status danger, however, is seen to be from S&P and Fitch. There are also differing levels that are applied to junk status. The stars: Germany, Switzerland, the Netherlands, Norway and Australia, for instance, boast all three agencies’ highest ratings. Already junk: Brazil was recently downgraded. Analysts say this was due to the sharp decrease in commodity demand and prices, but also largely due to corruption, state interference in the economy and policy blunders by among others the country’s now extremely controversial president, Dilma Rousseff. Venezuela now has one of the lowest ratings below investment level. “It was totally ill-managed,” Joubert says. South Korea and Colombia are examples of countries that managed to drag themselves out of junk status. “They took profound, drastic measures to get their finances in order again,” Joubert says. We’ve been there before . . .
Only Moody’s was prepared to give SA an investment-grade rating in 1994. S&P and Fitch promoted us to investment grade only in 2000. Under former finance minister Trevor Manuel our ratings gradually climbed, with high points between 2004 and 2007 when our economy was still growing strongly, up to more than five percent a year. This increased the country’s tax income significantly and even resulted in budget surpluses in 2006/07 and 2007/08 – firsts for SA. Loves the outdoors with a dash of romace. Loves to laugh and have fun. I'm a 35 year old woman looking to meet men between the ages of 34 and 45.